Fornite:Battle Royale has undoubtedly been the most popular game of 2018 thus far, having an excessive amount of coverage and content from creators on all different platforms such as Twitch and YouTube. The Fortnite craze at the moment is simply insane. One content creator spearheading this explosion is Tyler "Ninja" Blevins, and he's about to take it to the next level. Fortnite is yet to experience some esports - that changes next month. 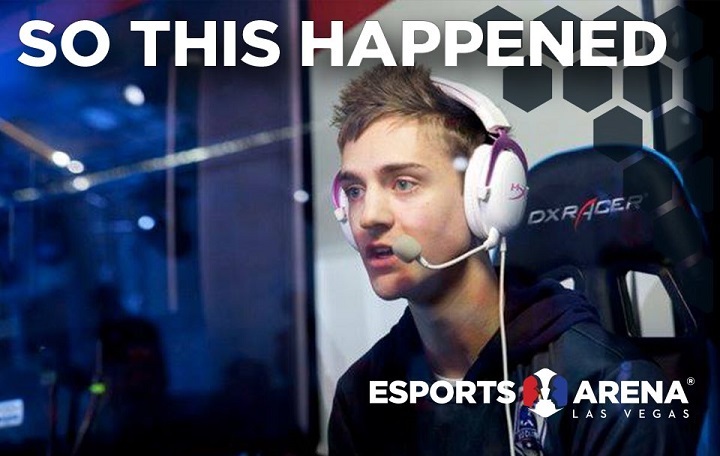 "Ninja" will be live in concert with Esports Arena to host an event for the title with $50,000 at stake. According to choice, the prize will either be given to the competitors who manage to win and defeat "Ninja" or a charity of the streamer's choosing - it's still a little unclear. 10 games of Fortnite will be played. A total of $2,500 goes to the winner of each game; if this happens to be "Ninja", the money goes to a charity of his choice. If he does win a game, the bounty will be added to the next game too, effectively doubling the prize. This leads to some ridiculous possibilities. Entrance into the event is still under development; which will take place on Saturday 21st April at Esports Arena Las Vegas. This new arena features a 30,000 square foot multi-level arena, 50-foot LED video wall, telescopic seating and so much more. This is an event to look forward to for those who take Fortnite seriously and even for those who don't.